Freedom was never free and sadly, somethings are worth it's price. oops, we forgot the American Revolution. 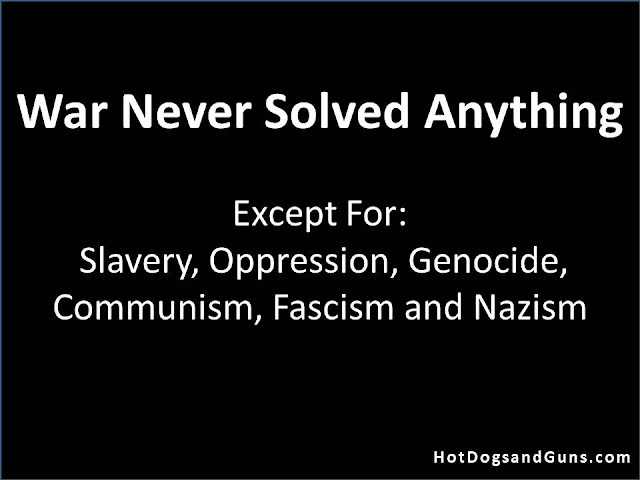 Never solved anything there, either. Have any of you ever read "John Adams?" Excellent book, great HBO miniseries. Take a look back at what this country was founded on. Just in case you never watched "The Last of the Mohicans" with Daniel Day Lewis.